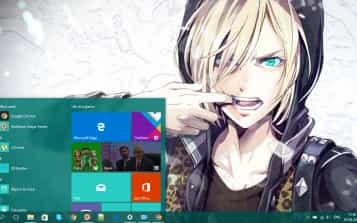 The default theme of Windows 10 is excellent but if you are looking to give a new design or look to your Windows 10 PC, you might be looking for some attractive windows 10 themes or skins. Windows themes not only changes your PC’s visual interface but also enhances the user experience. It adds on a new look to the mouse cursor, screen background, desktop icon and even file, folder format on your Windows 10 PC. In this article, we bring you the top 21 cool Windows 10 themes for your desktop computer or laptops which you can choose according to your choice and likes with their download link and guide on how to install them. The name says it all. 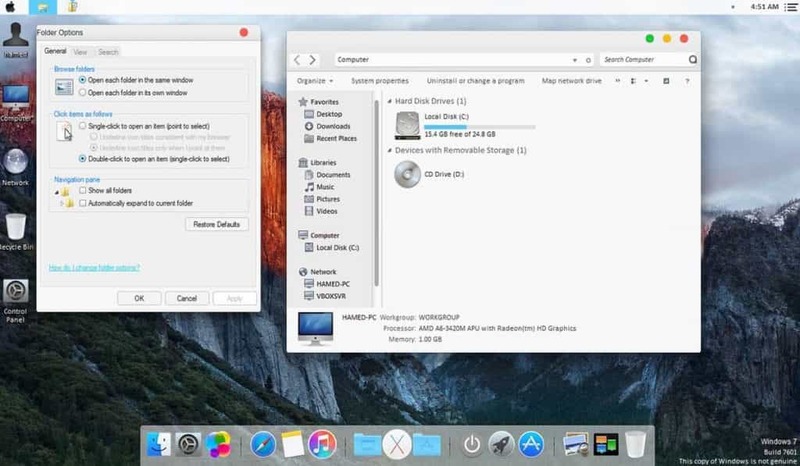 OS X El Capitan gives you the chance to experience the looks of Mac OS X in your Windows 10. Mac OS X EI Capitan is one of the coolest Windows 10 skins that will offer you a great experience like Mac desktops on your Windows. This is a must try out for Windows 10 users! This is one of the best themes that has a minimalistic look but looks awesome when used on your Windows 10 computer. This theme has sixteen versions, which includes 8 versions of Flattastic Light theme and 8 versions of a Flattastic Dark theme. 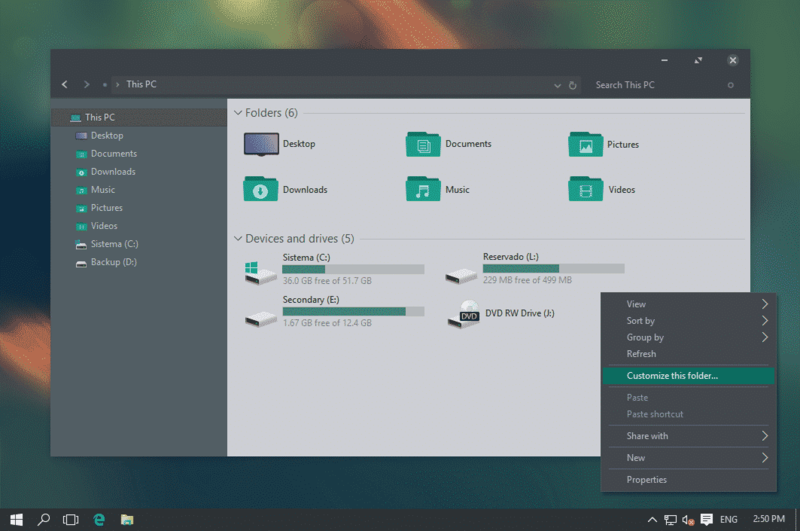 Another cool theme that gives you an Aero style glassy transparent interface on your Menu on Windows 10 PC. If you are missing the cool interface of Windows 7 on your Windows 10, then you should definitely try out this Windows 10 theme. 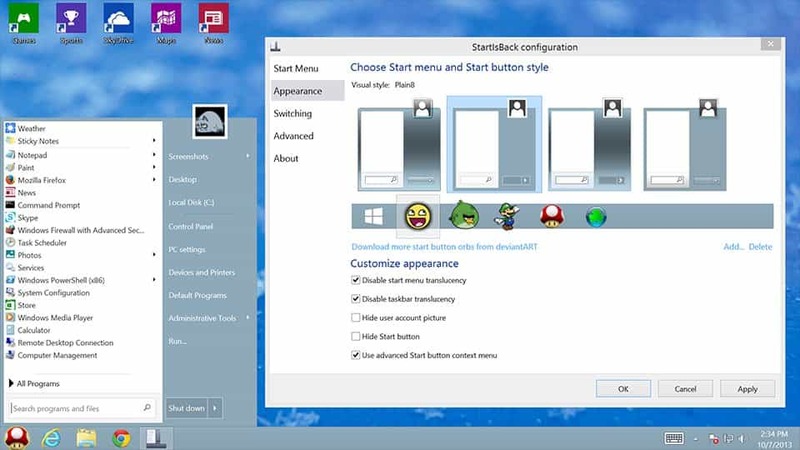 This theme will provide Windows 7 features like start button interface on your Windows 10. 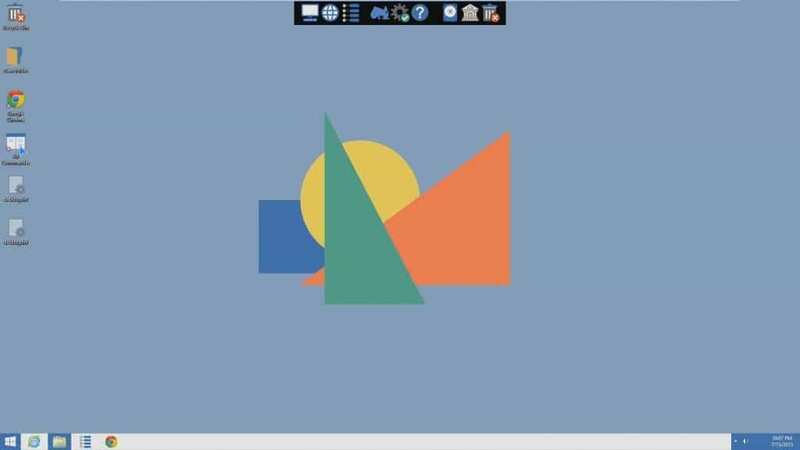 Diversityx VS is one of the Windows 10 custom themes that provides an amazing classic look to your computer/laptop. Its dark, as well as a cool glassy transparent interface, enhances the look of your Windows 10. People who work in the night will love this interface, as it is very comfortable to use. 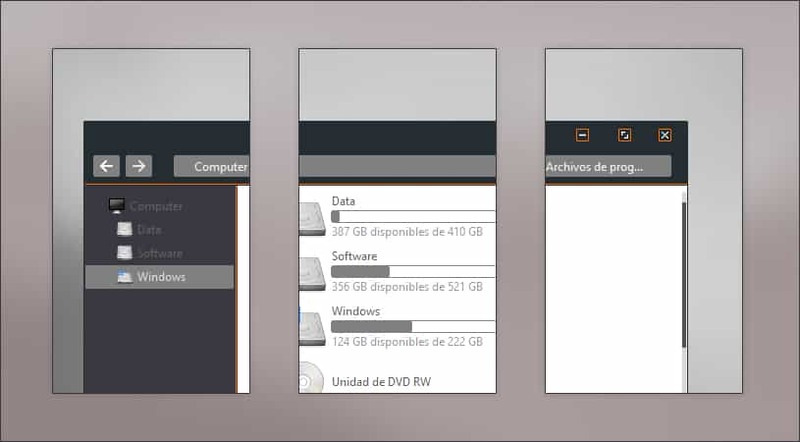 This cool theme completely transforms your Windows UI looks and gives you the experience of using the Ubuntu operating system on your Windows 10. 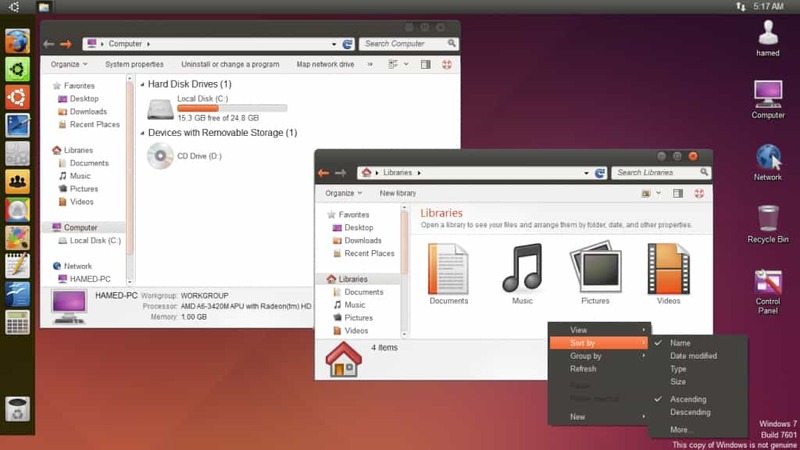 It is One of the best themes for Windows 10, most of the features of this software can be customized, such as the color theme, keyboard shortcuts and mouse gestures Basically, Ubuntu Skin Pack refreshes your Windows interface with some great appearances. Yet another beautiful, clear and simple theme, with a blue sky with clouds (Windows 10 native visual style) in the background. It offers an interface that looks similar to any cloud service. This theme is borderless since there are no borders defining the sides and edges of lines drawn by ruler. 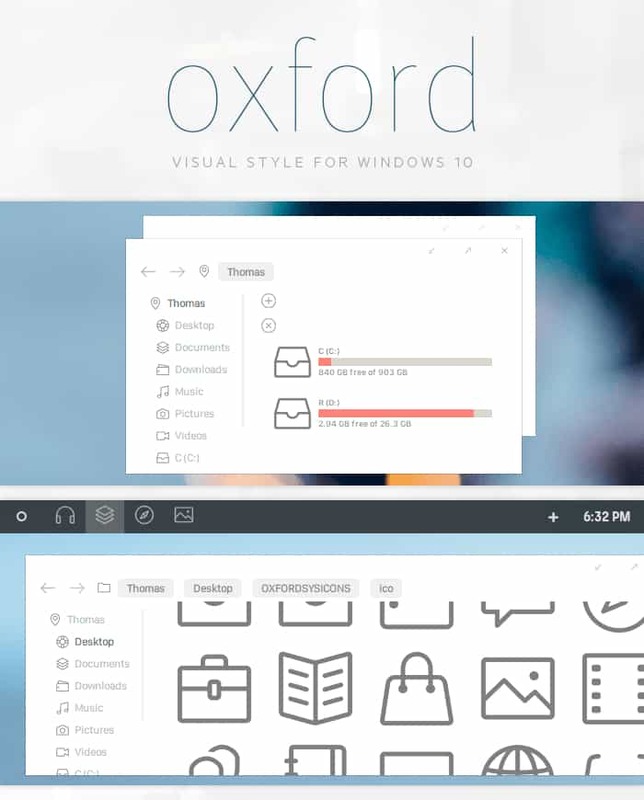 It changes and enhances the overall look of your operating system. Silk theme for Windows 10 is one of the beautiful themes that you can try on your Windows 10 computer. It will completely change your screen to an attractive notebook and make it appear beautiful and colorful. You can also customize its colors, according to your requirement. 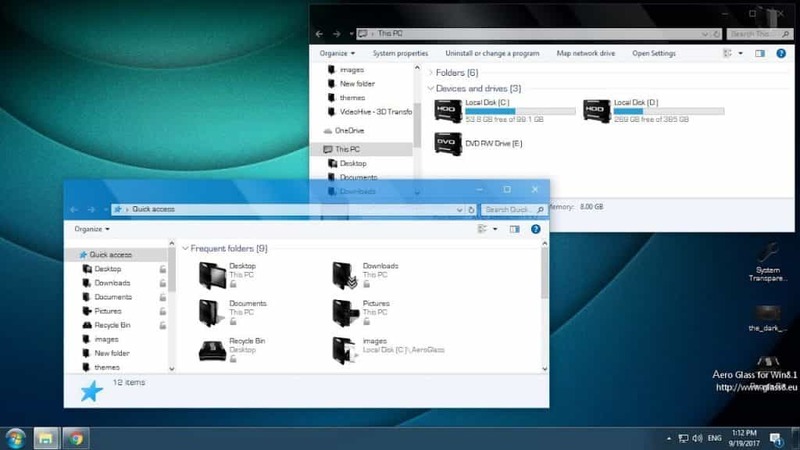 It allows you to arrange your windows and opened folders in a way such that they appear like a handful of cards fanning out on your screen in a beautiful cascading effect, one after the other. The most amazing theme or skin that adds a Windows 7-style Start menu with Windows 10 enhancements. 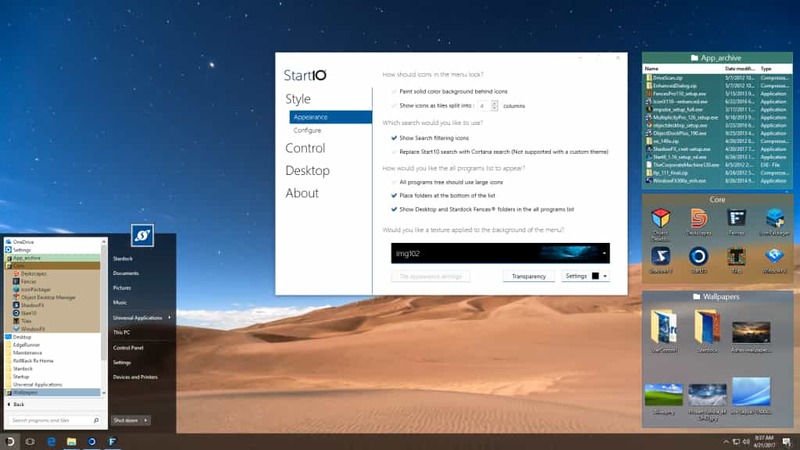 It also offers a fully customized screen that you will love to have on your Windows 10 desktop. Nature lovers will love this theme. 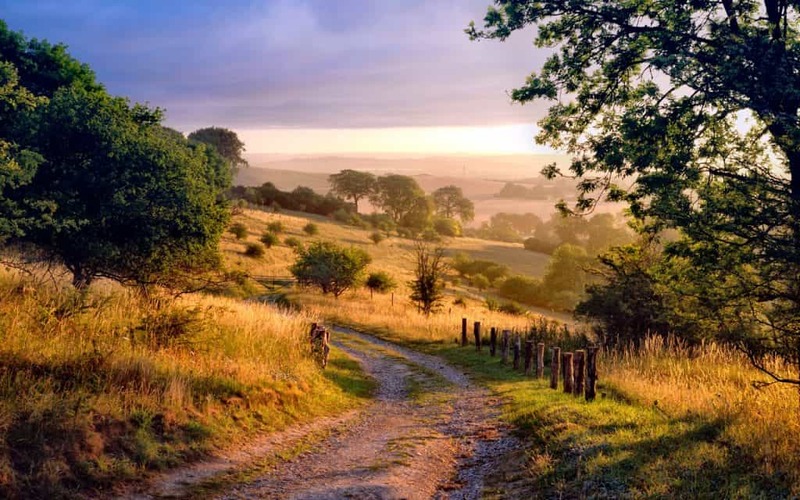 Based on nature, this theme gives images of country lanes, wooden stairs, forest trails, and other scenic paths. This theme contains eleven HD wallpapers of nature that will ultimately change your Windows 10 experience. 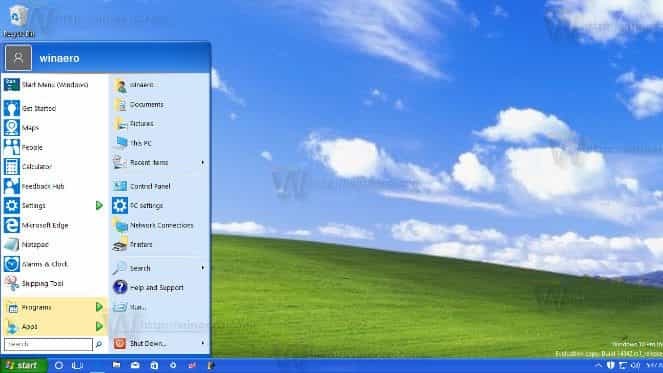 Perhaps one of the best windows 10 themes or skins that will bring back all the nostalgia is Windows XP from one of the best windows version of all time. To use this theme you will first need to download the classic shell which will help to get important customization for your windows 10. Once downloaded and installed you need to get Classic Shell XP suite for Windows 10. Your theme is ready now! 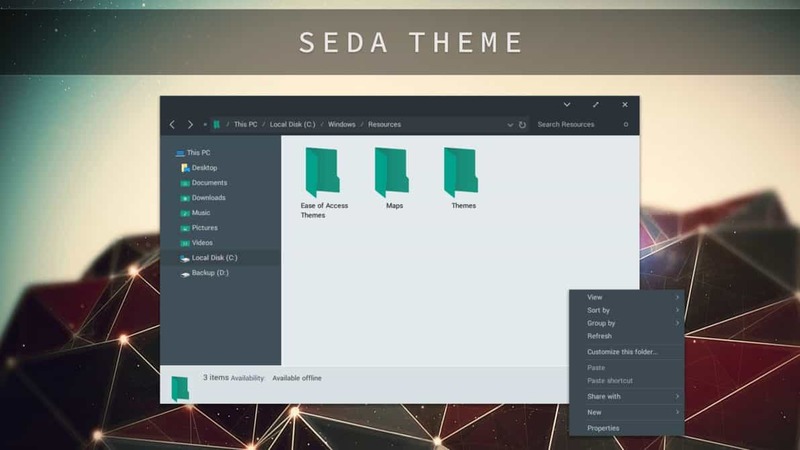 Seda is a dark windows 10 theme from Deviantart. it is not completely dark and also has a light menu in settings. 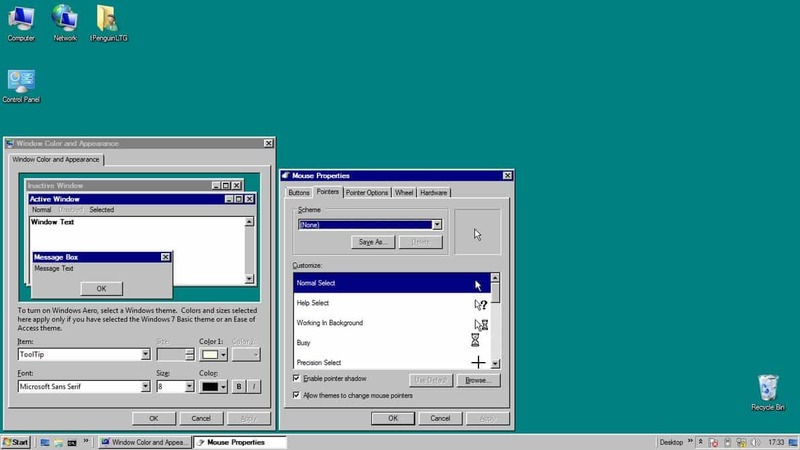 If you will like to bring the antique look of Windows 95 on your Windows 10 PC. this theme is a perfect choice for you. It includes gradient title bars and rectangular buttons which defines its finishes and edges. once you have downloaded this theme. If you want a clean and beautiful look for your windows 10. This minimalistic theme might be the perfect choice for you. Perhaps one of the best dark windows 10 themes. It might look a bit similar to seda theme with various grey shades on it. If you are looking for the theme used as the featured image in this article at the beginning of this article. well, it is Ades theme. Next impressive theme on the list if Windows 10 Dark Theme. This is possibly one of the best Windows 10 dark themes you can get on the Internet. 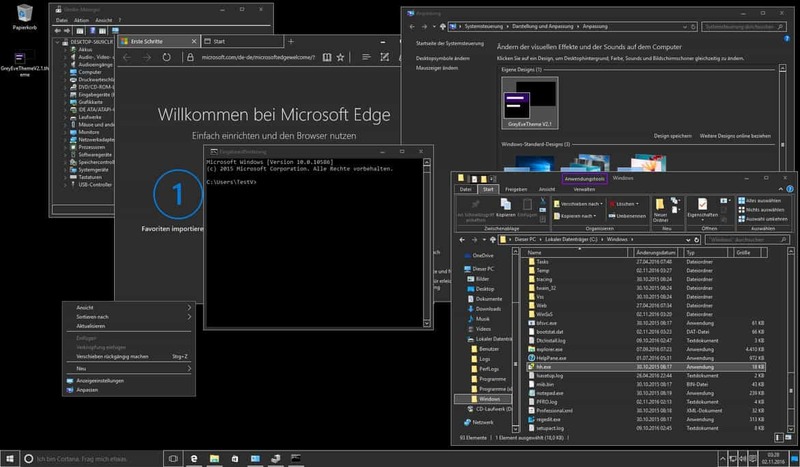 The theme perfectly blacks out the Windows 10 with different shades of black color. Once you download the ZIP file for this theme place it in %USERPROFILE%\AppData\Local\Microsoft\Windows\Themes and then go to Settings>Personalization>Themes and select it from the list. This theme does exactly as its name suggests. 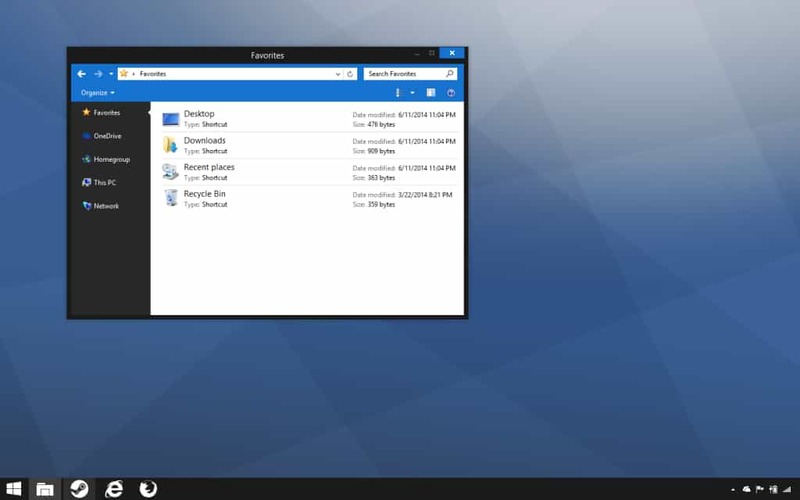 This Windows 10 theme offers a very clean and minimal look to your PC. Overall aesthetics of the Simplify theme may even help in increasing your productivity and keeping your desktop clean. 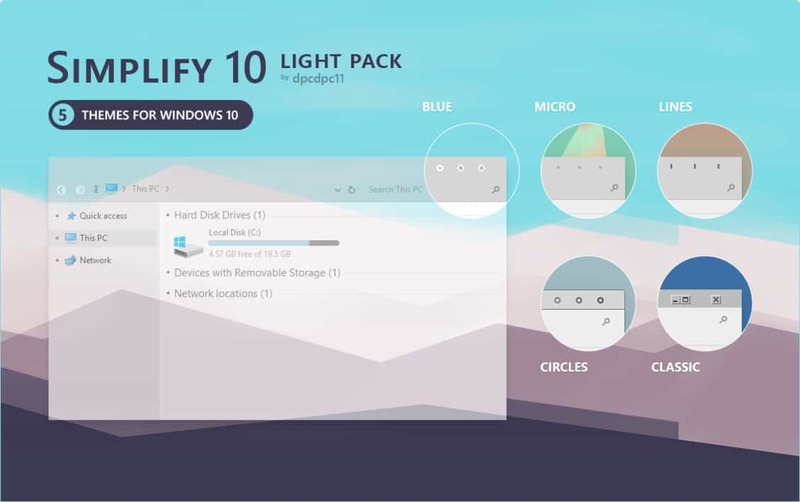 Simplify Theme pack comes with 5 elegant and minimalistic Windows 10 Themes. You can save these themes in AppData and apply them personalization settings. The next theme may take your festive season excitement to a new horizon. This Christmas Theme is one of the perfect Windows 10 themes for festival season. 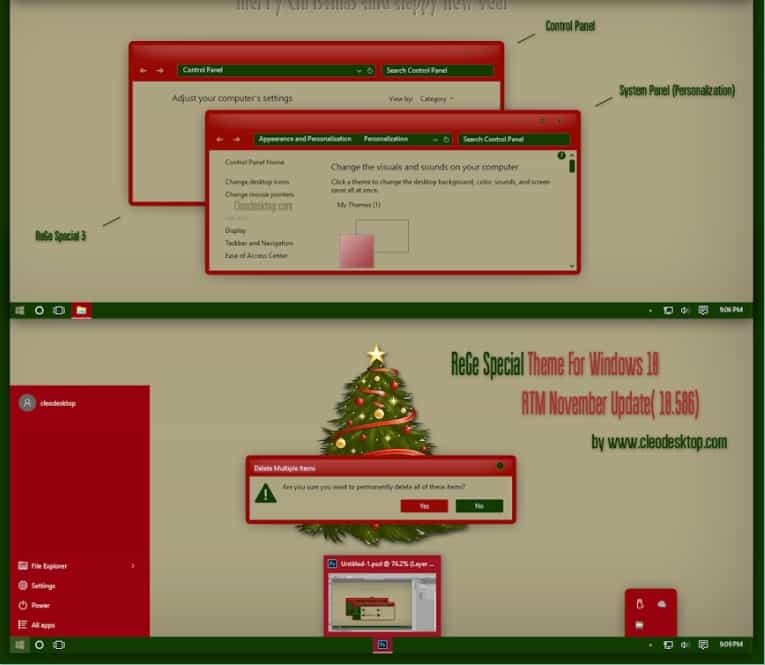 Everything from icons to the windows will be related to Christmas in one or the other way. Once the download is completed move the content of this theme to %windir%/Resources/Themes and then apply this theme from settings. One of the major reason why people invest in Netflix and Amazon Prime subscription is to watch latest Anime shows. Well, if you are one of those people who love watching Anime then using Windows 10 themes based on Anime, might sound good to you. You can check out an extensive collection of Anime themes on Anime Windows 10 Themes. Once you apply the theme you can even pick up a matching accent color to enhance the overall experience. The last theme on the list is dedicated for gamers. 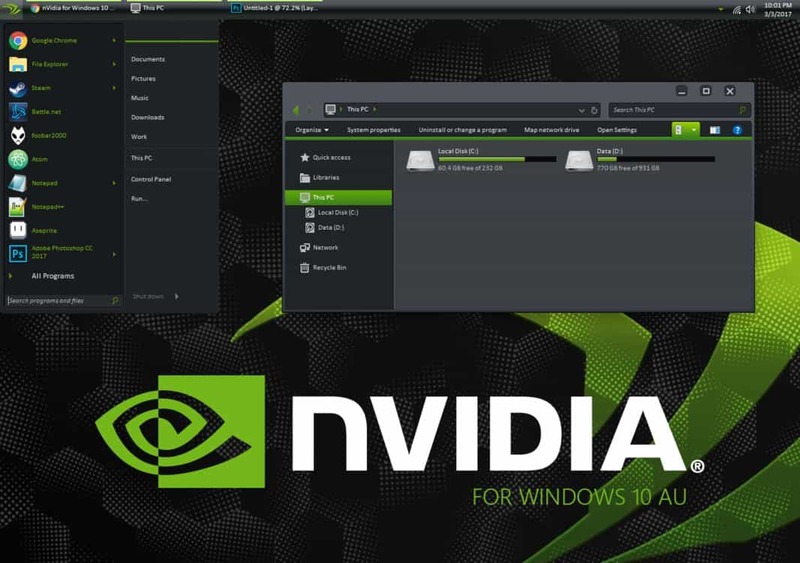 Nvidia Theme converts your Windows 10 PC into Nvidia control panel. Everything from the wallpaper to different default Windows 10 programs has the black and green Nvidia accent. You can check out this theme and add a stellar look to your gaming setup. 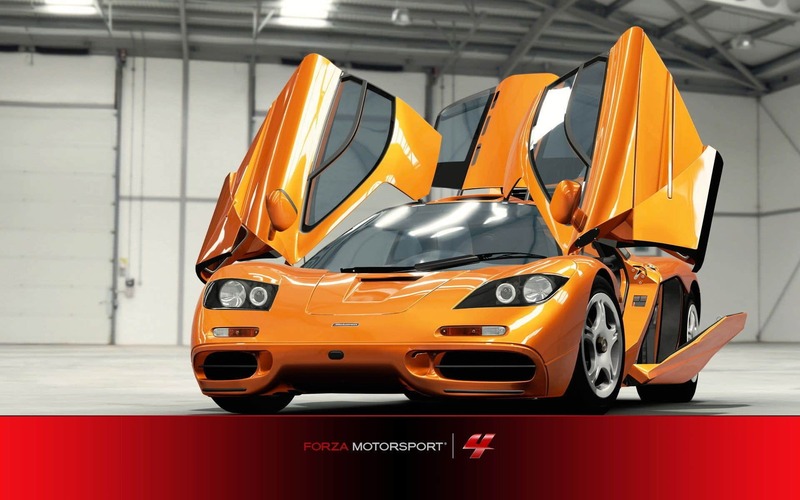 As you might have guessed, Forza Motorsport 4 is a theme that’s inspired by the popular racing game franchise. The theme has an extensive collection of high-quality wallpapers accompanied by theme sounds. If you are a fan of the Forza Motorsport franchise then you should definitely check out this theme. So these were some of the best windows 10 themes or skins that will make your windows PC look more beautiful. If you know of any other good theme that we should add to the list, do let us know in the comments below. But which is the theme used on the image with the article title? This is not a theme. This is just an ad. Silk theme are not available. 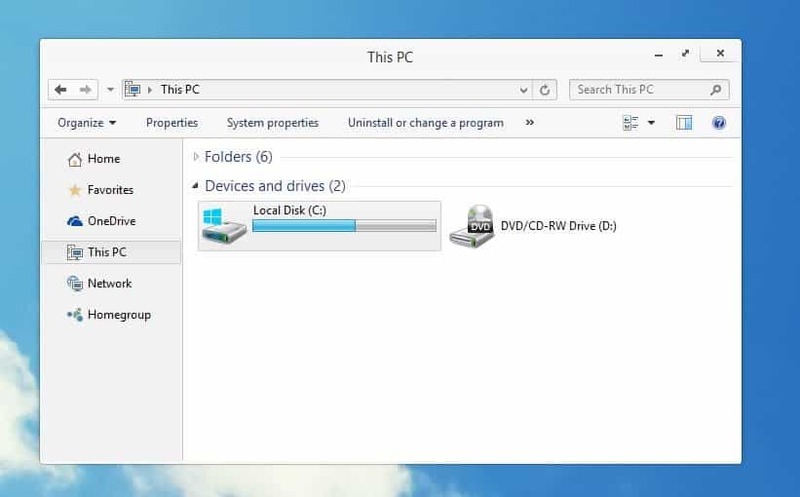 most of these themes seem to need a patch or or theme patcher to install them, or you need to go into the file explorer and copy theme exe to a folder that some of us may not know how to navigate to. wby cant you show us some really nice themes that are compatible with an easy windows 10 installation?